BEIRUT, LEBANON (9:40 A.M.) – The Syrian Democratic Forces (SDF) continued their battle against the Islamic State (ISIS/ISIL/IS/Daesh) on Friday despite U.S. President Donald Trump’s declaration of victory against the terrorist. Backed by heavy artillery, the Syrian Democratic Forces attacked the Islamic State’s last positions at the eastern slope of Jabal Baghouz. No advances were reported by the Syrian Democratic Forces on Friday; however, they did confirm that their troops are still targeting the terrorist group. According to reports from the Deir Ezzor Governorate, dozens of Islamic State fighters are still holding this small area in Jabal Baghouz, but they are severely lacking provisions and manpower to continue for much longer. Earlier this week, the Islamic State conceded the Baghouz Camp to the Syrian Democratic Forces after several months of intense fighting. Following the Islamic State’s loss of the Baghouz Camp, Trump announced that the Islamic State’s ‘caliphate’ had been eliminated from Syria. It is only a matter of time before the Islamic State gives up their last area in the eastern Euphrates region, which will ultimately force them to rely on their sleeper cells as they no longer hold any territory in this part of the country. How to make sure ISIS fighters will get what they deserve? Feral hogs are the best! Look at what happened when we threw Paris attackers carcasses into garbage! 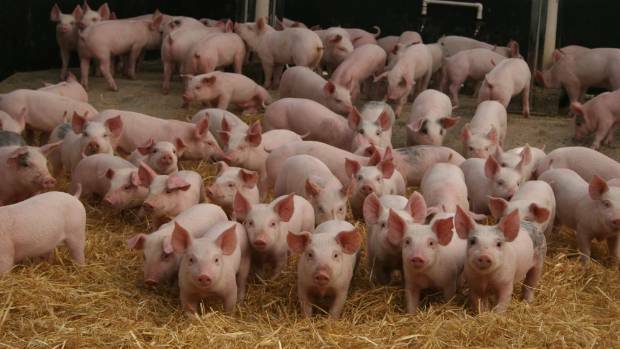 BTW, I’ve found a picture of al-Baghdadi’s 72 virgins! ISIS = Yummy tummy for them! No heaven for those eaten by swines, idiot! if there are beyond two or three dozen american soldiers present at Bahguz, I would be surprised. IS has been soundly defeated by SDF, with US aid, against the combined forces of turkish backed IS. Trump should give the larger part of the credit to the SDF forces and their many killed, overc8.000 martyrs.